FloatPlaqs give your art dimension to appear as if it is floating off the wall. 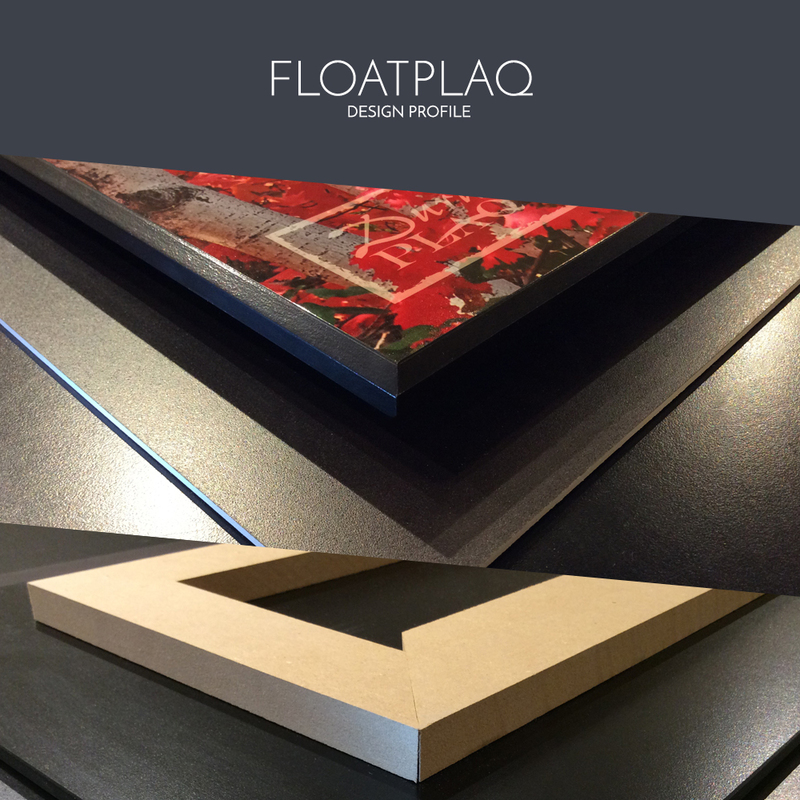 FloatPlaqs are quickly becoming a favorite for fine art galleries and artists alike. Made from our premium eco-friendly wood, FloatPlaqs create a durable yet creative way to preserve and present fine art. Artwork is mounted on an acid-free 3/8” thick surface, finished with a beveled edge, and given a ¾” deep backing to create a floating effect. The backing is recessed from the edge such that it is not easily seen. A simple French cleat system is provided to securely mount and display a FloatPlaq. A multitude of durable surface finishes are offered to enhance artwork and provide UV protection and moisture resistance to a piece of artwork. In addition, various edge color options are available to enrich and customize the presentation. 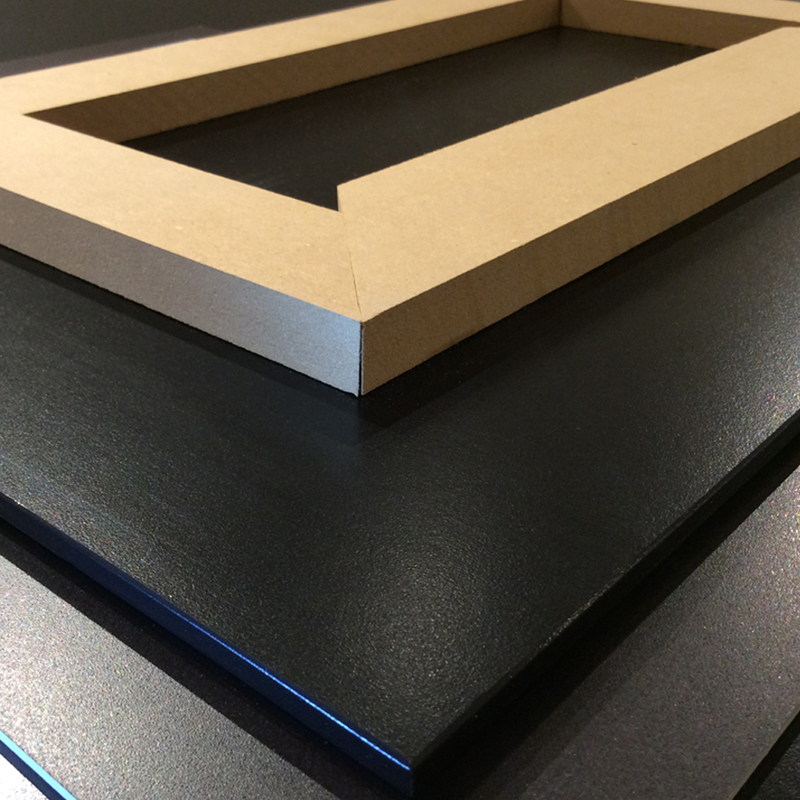 Surface Finish Options: Velvet (Standard), Satin, Matte, and Semi-Matte. Hanging System: ¾ inch French Cleat is standard. If requested a wire hanger can be added to the FloatPlaq. Please not that we do not warranty wire hangers. Included with the cleat hanging system are Hangman Walldog Screws.These are an all steel, one piece, threaded fastener. Walldog fasteners are fast. Unlike conventional screw anchors, which require the secondary step of threading a sheet metal screw into an anchor, the Walldog is installed directly through the fixture into the drywall.